This house was built in the 1890s, one of several hundred homes of this design in our area. 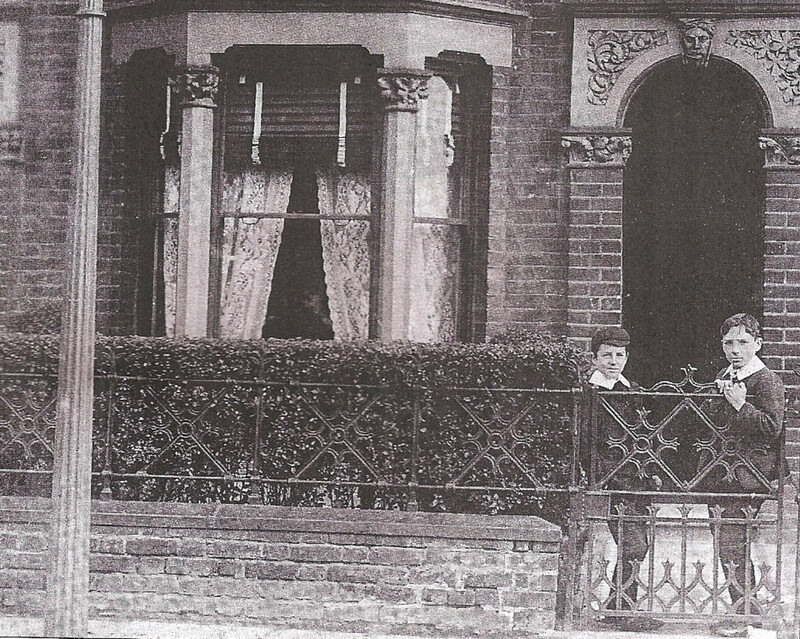 This picture is very unusual because it shows the house, and two boys who lived in it, on what looks like an ordinary day. Most surviving photographs from this time show people in their best clothes, posing in photographers’ studios. 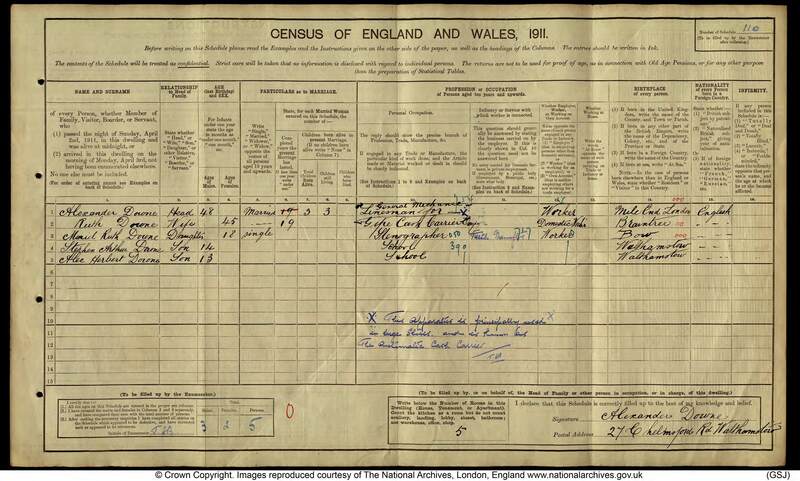 The census return for 1901 tells us that Alexander Downe, a carpenter and joiner, his wife Ruth and their daughter Muriel and two sons Stephen and Alex lived here. 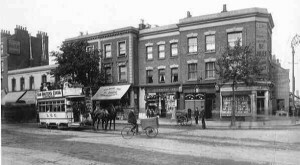 The family moved here from Mile End, and the two boys were born in Walthamstow. This one black and white photograph tells us a great deal both about the boys and their home.